With over 20,000 vehicles with bodywork manufactured by Alloy Bodies Ltd on the roads of the UK, it’s no surprise that a few get damaged. Most of our fleet customers would not necessarily think of returning a vehicle to us for its repairs, instead opting for more “local” repairers who despite the convenience often inflate both parts prices and labour hours. The disadvantage of this situation is high prices, substantial downtime and in many cases poor quality repairs, as other repairers will not have the discreet knowledge of the products that we have built for over 45 years. Free estimate within 24 hours. Alloy Bodies discreet knowledge of its products guarantees standard repair times, so no open ended quotations or inflated labour charges. OEM discounted parts prices, no transport costs and no additional mark ups. Fast Track service with quick turnaround, ensuring minimum downtime and increased productivity. Most repairs completed within 5 working days or sooner. Free 25 point bodywork health check. 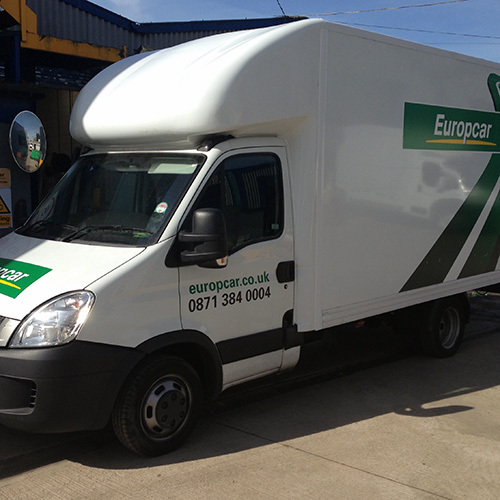 Optional collection and delivery nationwide (Recovery POA) overcoming “local” repair convenience within budget. Warranty extension on all repairs. Insurance and chassis cab repair work can also be quoted and undertaken. Get in touch on 0161 205 7612 or submit a repair enquiry using our online form. 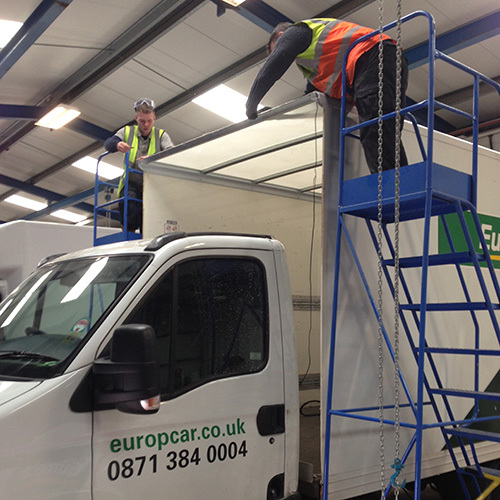 Bringing damaged vehicles back to our Manchester factory means we can offer a prompt repair service. Having your bodywork repaired by us maintains your body warranty and gets your vehicle back on the road quickly. Please note our chassis receiving and collection times from Monday to Friday. This ensures the relevant trained personnel are available to receive or release vehicles. This excludes Bank Holidays and our annual Christmas shutdown. I consent to Alloy Bodies Ltd collecting my details through this form.